Welcome to Wigsventurss! Use the left and Right arrow keys to move left and right, and the up key to jump. You have two jumps. You can jump higher on the first jump if you hold the key down. Goal in this game is to collect all the Numbers in order, and reach the finish. Make Sure to collect every number! Collect coins to gain points! 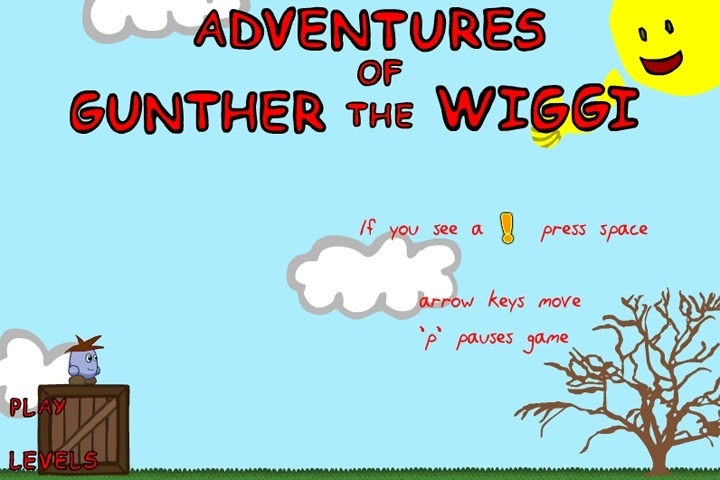 If you want to play Adventures of Gunther The Wiggi games online you have come to the right place! GamesLoon adds new Adventures of Gunther The Wiggi games every week. This is your game portal where you can find the biggest collection of free Adventures of Gunther The Wiggi games online. Do not forget to rate our Adventures of Gunther The Wiggi free online games while playing!